I carry a Kahr CW9, after 5 years of trying out different models, XD subcompact 9, Taurus Millennium Subcompact, And a few others, I finally went with the Kahr CW9 because of being a woman with larger hands, the grip is compatible with my hand size and the way it handles. I've switched to a Glock 30 for most carry occasions and just purchased a Beretta Nano for when I need something smaller and lighter weight. I carry a Glock 26. Would like to shoot a Nano to see how I like it. Pretty! 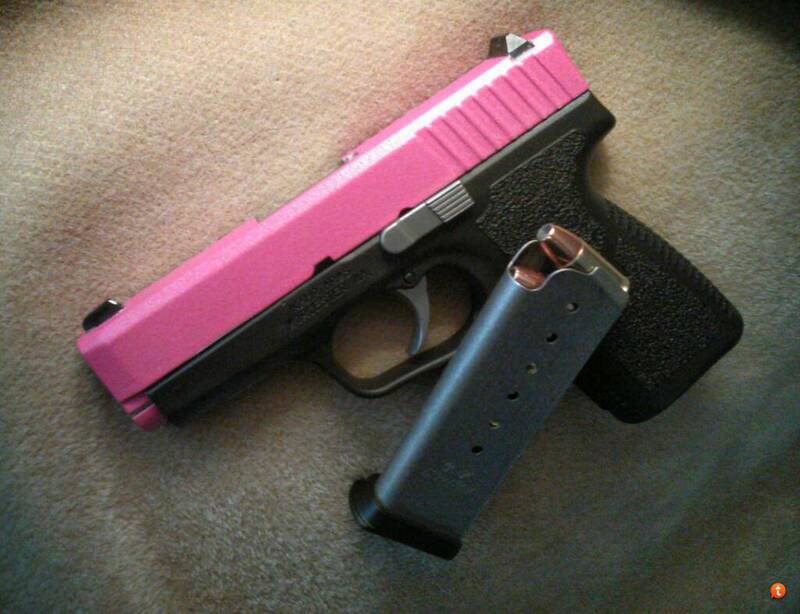 I know some women don't like the pink guns, but I do. I don't have one, but they're always the first ones I look at when I go to a gun show. more punch than a .22lr. I may buy a PICO myself with the .32 conversion just because I luv the .32 acp.